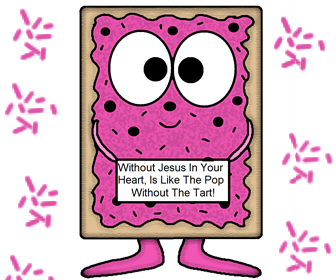 "Without Jesus In Your Heart, Is Like The Pop Without The Tart!" 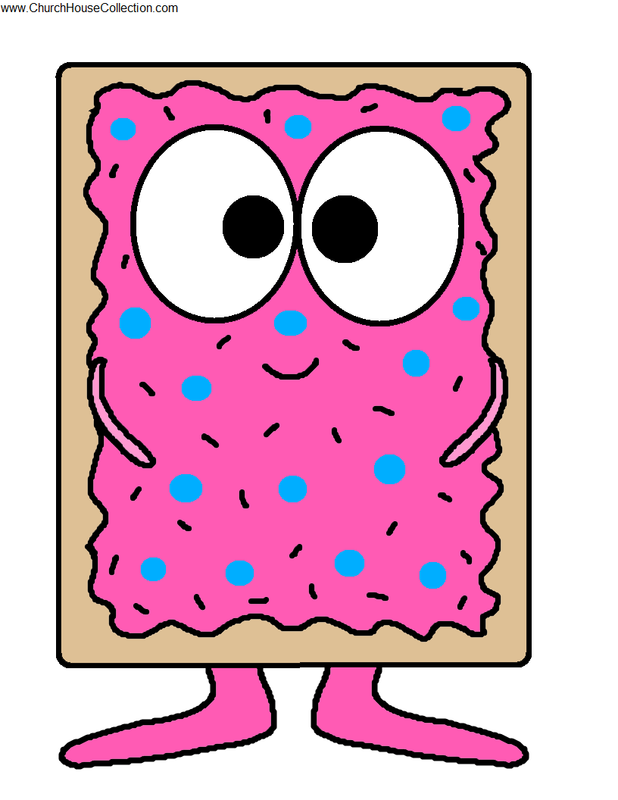 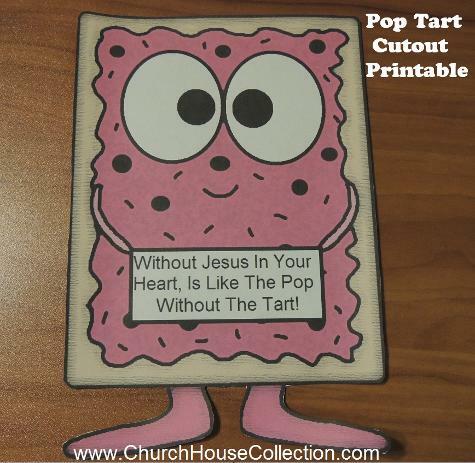 I made a cute little Pop Tart cutout for kids to color and then cut out during Sunday school class or children's church. 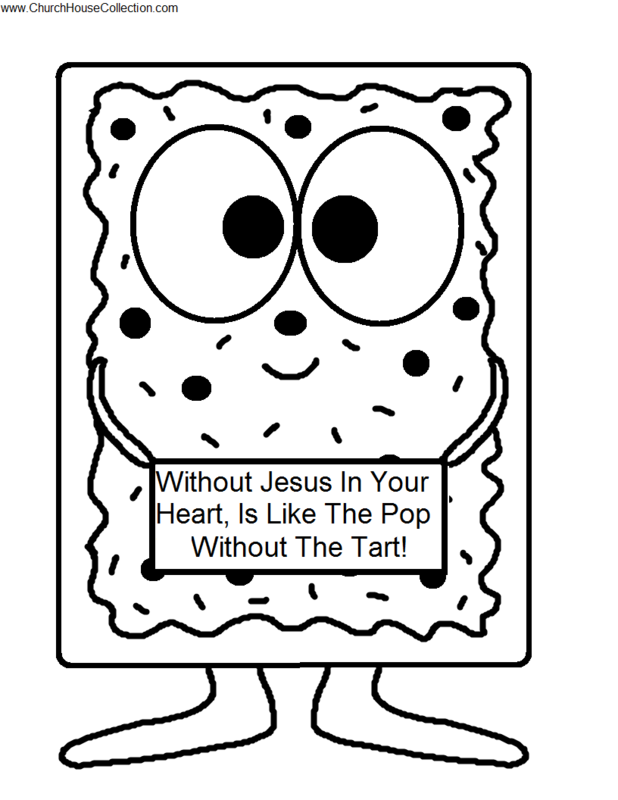 These are very large cartoon images and can also be used for bulletin board decorations. 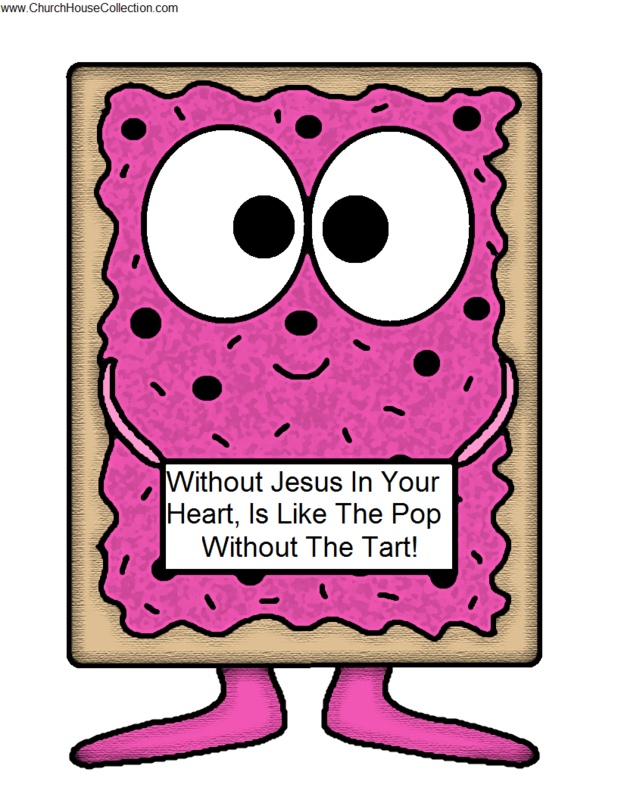 They will fill an 8.5x11 sheet of paper. 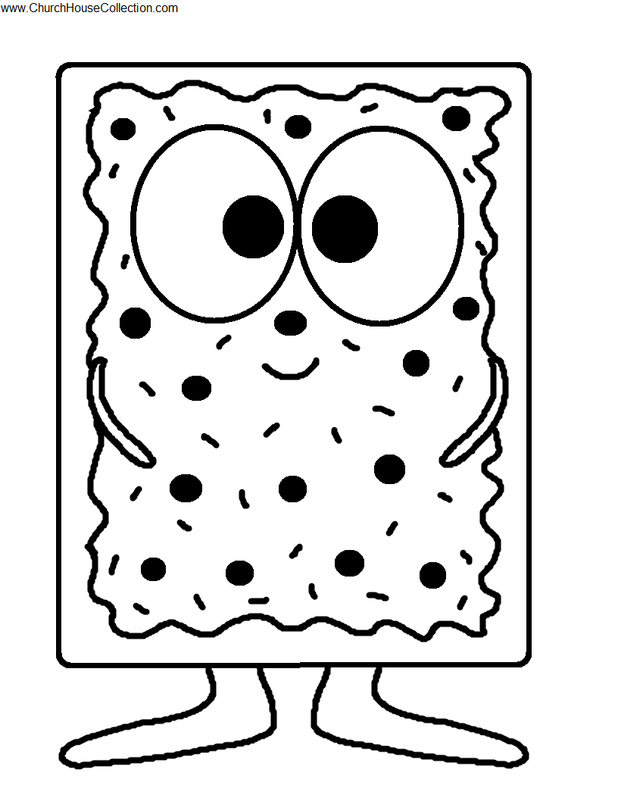 I made these in colored and black and white and also with and without words so they can be used in school settings or for something else creative.